Millie was nervous, but a real trooper when it came to sitting for her portrait. We had to work with her to get the right pose, but when she had it, she held perfectly still. 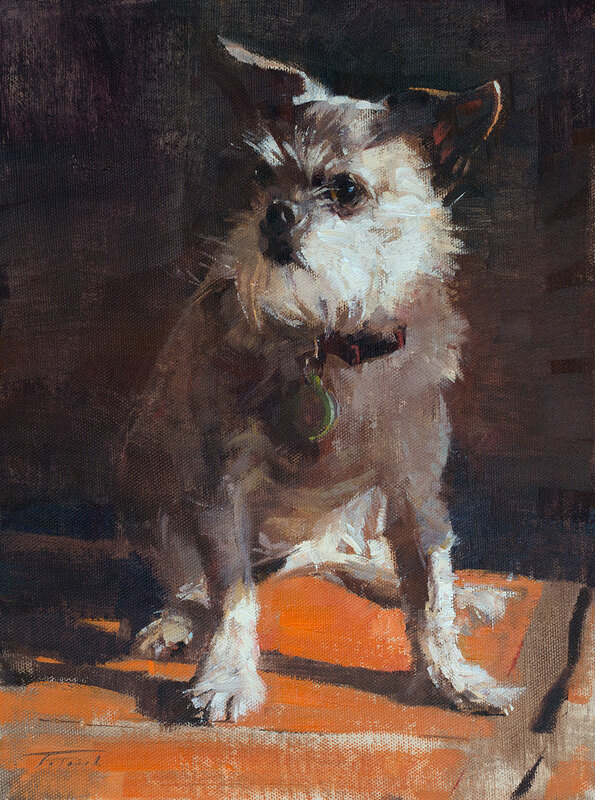 The light on Millie's face makes her personality emerge from the shadows around her.